This article first appeared in City & Country, The Edge Malaysia Weekly, on November 12, 2018 - November 18, 2018. Busy schedules are the norm these days, leaving little time for families to do things together. Moreover, the different generations have their own preferences and pace of life. Seeing this, Rembawang Holdings Sdn Bhd founder and group executive chairman Datuk Kamisah Johan and her team conceptualised Teringin in Taman Sri Ukay, Kuala Lumpur, which she hopes will bring families together while still giving each person sufficient space. Originally from Tampin, Negeri Sembilan, Kamisah moved to Kuala Lumpur at the age of 17. She started out in hospitality before going into sales, working for several property developers. After a few years, she decided it was time to strike out on her own at the age of 30. So, she and some like-minded friends, family and investors decided to pool their resources and incorporate Rembawang in 2009. While ideas for projects were gestating, the company kept afloat by purchasing land, then obtaining development orders (DO) for them before selling them to other developers, which could start work on them immediately. Currently, Kamisah is in the final stages of putting everything together for Rembawang’s maiden project, Teringin, which will be launched early next year. But the journey for the company has been a long one. 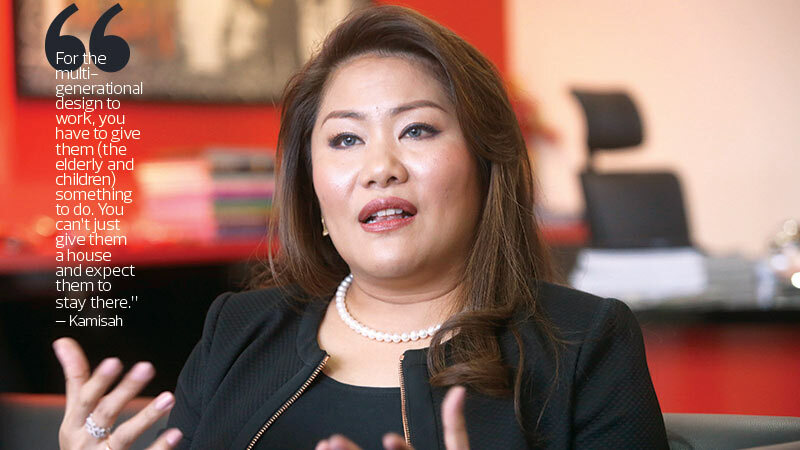 Sitting in her cosy office in Sri Hartamas, Kuala Lumpur, Kamisah relates how it took her seven years to get a DO for Teringin. One of the reasons, is because there is negative perception of the area the project is located in, right next to the Highland Towers. In 1993, one of the three residential blocks at Highland Towers collapsed due to unstable soil conditions. The tragedy saw 48 lives lost, tarnishing the reputation of the once exclusive area. In addition, residents in the area were resistant to new developments, fearing future accidents. However, that may soon change, thanks to the announcement by Housing and Local Government Minister Zuraida Kamaruddin that the Highland Towers land could be transformed into a public park. Furthermore, thanks to Kamisah’s persistence, the slope areas around the devleopment site of Teringin and beyond have been made secure. During her many visits to the local authorities to get approvals, she was asked to conduct a geotechnical study. “The authorities asked us to do a geotechnical study, not only on the slopes of our land but also the whole area. I spent close to RM400,000. The in-depth and comprehensive study was done by an independent consultant selected by the authorities to ensure there would be no bias. It revealed that the danger was not from my land but from the state government’s land,” she explains. The study was completed in September 2012. The local authorities have rectified the problem and today, the area is considered safe from soil movement, says Kamisah. And she got her DO. Now that the land matters have been addressed, Kamisah has set her mind to coming up with a memorable product. In fact, the name Teringin is very telling. 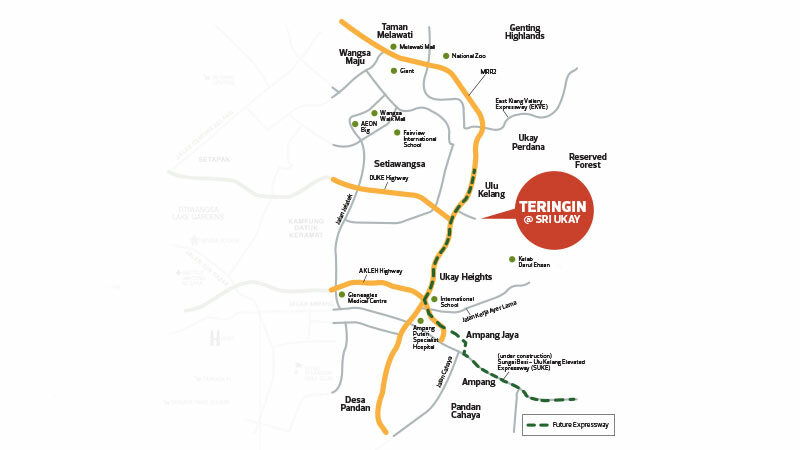 Slated for completion in the first quarter of 2021, Teringin sits on an 8.5-acre leasehold parcel, of which five acres is flat land where 24 three-storey semi-detached houses will be built. The remaining land will be left untouched and for recreational use. The semidees will incorporate either colonial or Peranakan design themes but with a modern twist. “I have chosen the colonial theme because I want to bring back that ‘old luxury’ feel from the colonial times. When I travel, my kind of hotel is like the Eastern & Oriental Hotel in Penang. I like that style,” says Kamisah. To add to the exclusivity of the project, there will be 11 house designs and adjoining houses will not look alike. The land area of each semidee will range from 3,000 to 5,000 sq ft, with built-ups of 4,200 to 6,200 sq ft. The indicative selling price is from RM950 psf, or RM4 million, and the maintenance fee is estimated to be 25 sen psf. Each unit will have either 5+1 or 6+1 bedrooms and will be delivered bare for residents to decorate as they choose. However, they will come with a lift, rainwater harvesting system for garden tap use, bathroom fittings and floor tiles. Outside, each house will have a herb garden. “I requested my landscape artist to plant a garden with local herbs for each house, with plants like chilli, curry leaf and serai (lemongrass), so that the residents who love to cook can easily pluck what they need,” says Kamisah. She reveals that Teringin’s target market is upgraders from the Taman Sri Ukay area and those who have elderly parents. She says she has already received enquiries from at least three potential buyers and believes it will not be too difficult to sell the product as there will only be 24 units. The gated-and-guarded development will have a clubhouse, surprising given the limited number of houses. But Kamisah points out that this is to cater for the different generations that will reside there. Other amenities include a playground, picnic area and hiking trails. The area is accessible via the Middle Ring Road 2 (MRR2), Duta-Ulu Kelang Expressway (DUKE) and Ampang-Kuala Lumpur Elevated Highway (AKLEH). According to property experts, there are not many transactions in Taman Sri Ukay. But with the latest announcement of the potential redevelopment of the Highland Towers land, that could change. Landserve Sdn Bhd managing director Chen King Hoaw says the 30-acre residential area was an exclusive address targeted at high-profile individuals in the 1970s and 1980s. Property types there comprise 2-storey terraced houses, semidees and bungalows. The transaction records compiled by his research team reveal that the semidees have a built-up area of 2,149 sq ft with about 4,500 sq ft of land. There was a transaction worth RM1.4 million in 2014 but no others since then. The asking price today starts from RM2.588 million. 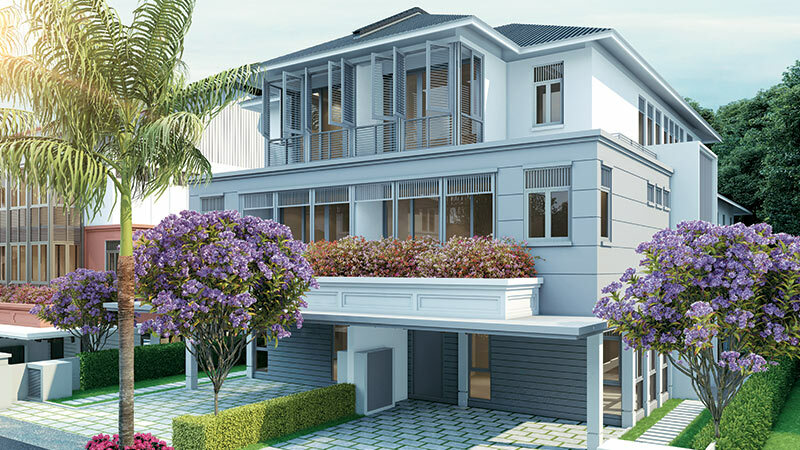 Meanwhile, the 2-storey terraced houses have built-ups of 1,916 sq ft each and land area of 2,124 to 3,099 sq ft. There were transactions in 2016 (RM740,000) and 2017 (RM1.08 million). Asking prices start from RM1.2 million at present. 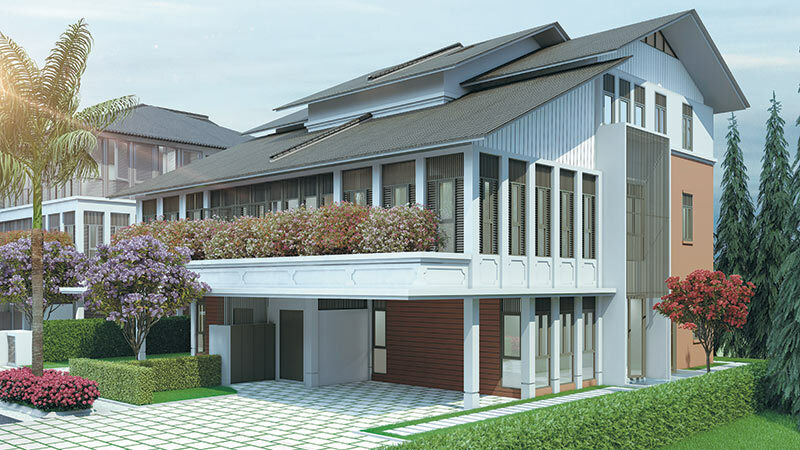 The 2-storey bungalows have built-ups of 2,585 to 3,229 sq ft, with land areas of 10,172 to 10,661 sq ft. There were transactions worth RM2.3 million to RM2.5 million last year, and the asking price now is RM3.29 million to RM3.5 million. Chen believes the traffic congestion in Taman Sri Ukay will ease in the future and property values will stay stable in the short term. “The Sungai Besi-Ulu Kelang Elevated Expressway (SUKE) is under construction. Upon completion, it is expected to ease the traffic congestion along Jalan Hulu Kelang. Nonetheless, against the backdrop of a sluggish property market with a huge increase in property overhang, we expect the outlook for the area to remain subdued in the near term,” he says. Metro Homes Sdn Bhd director See Kok Loong says his research reveals that there are mostly terraced houses and bungalows located close to the Highland Towers land. In 2017, the bungalows with land sizes of 10,000 sq ft were transacted at RM2.3 million to RM2.5 million each. Terraced houses, on the other hand, were transacted at RM750,000 to RM800,000 each. See says there has been limited transactions in the past two years and the asking prices are close to the transacted prices. 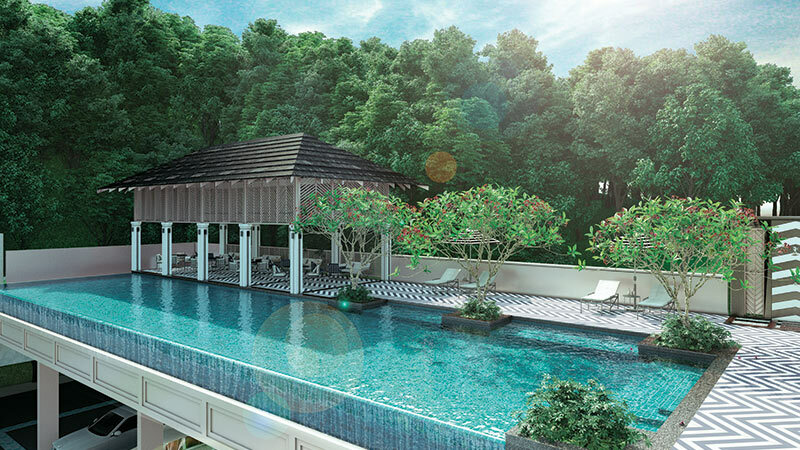 With no new property project in the area for over 30 years, Kamisah hopes that Teringin will “bring some vibrancy” and that property values will improve since it is now safe, thanks to the slope mitigation by the local authorities. Rembawang has two other projects in the pipeline — a 21-storey office tower in Jalan Yap Kwan Seng, Kuala Lumpur, and a 17-storey medium-cost apartment with 510 units and full facilities in Senawang, Seremban. Details of the projects are still being finalised.